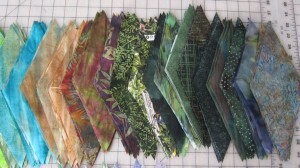 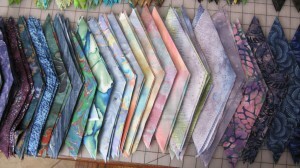 After cutting, I created my “palette” of fabrics – quite a range, from lights through medium and dark, in a range of colors. 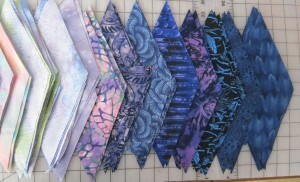 I don’t cut too many pieces at this point, because I will likely need to fine-tune the number of fabrics I use. 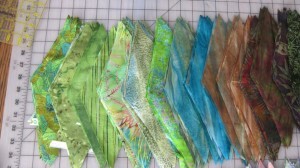 I can always cut a few more as needed during the design phase.